In public optical networks, the data are scrambled with a xu + 1 self-synchronous scramblers (SSSs). The reason for this is to avoid long strings of ones or zeros, which might affect the receiver synchronization. Unfortunately, the use of SSSs is always related to the problem of duplication of channel errors. More precisely, each error occurring during the transmission will be duplicated u bits later. 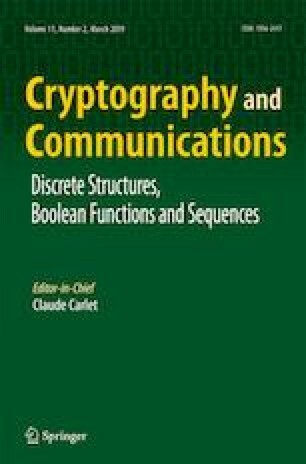 In this paper, we present a low-cost solution to this problem based on integer codes capable of correcting sparse byte errors.